Using stunningly original arrangements and an eclectic mix of styles, The Marten Quartet bring high class presentation and a unique charisma to the string repertoire. With a smooth distinctive sound and elegant sophistication they have an innate ability for capturing the unique mood of the occasion. 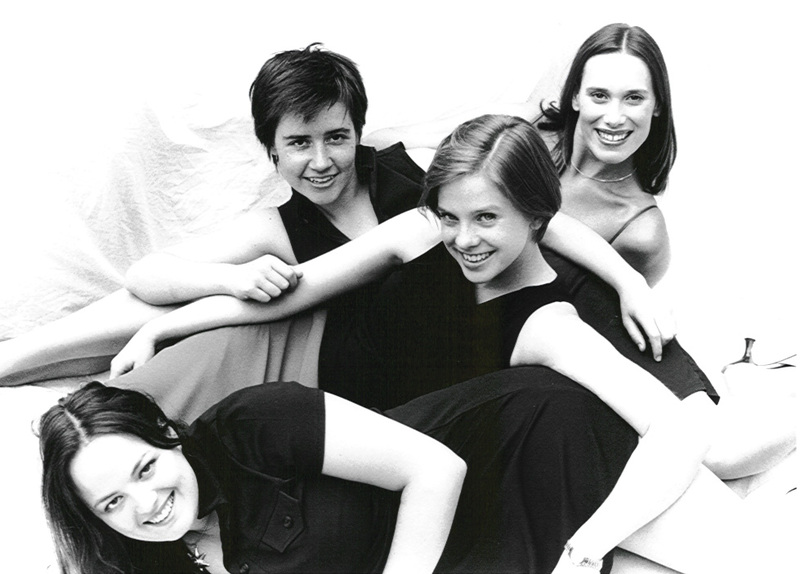 Consisting of four of the leading young players emerging from London’s Music Colleges, the multi-talented quartet have performed widely in and around London. Their repertoire extends from classical pieces by Mozart, Haydn, Beethoven, etc through to lighter material including Gershwin, Cole Porter, West End hits, jazz and pop. It is rare that the quartet cannot match a style or request of clients and they are equally at home whether providing music for weddings, functions and corporate events, or performing at The Royal Festival Hall. With a strong emphasis on presentation, The Marten Quartet have different co-ordinating outfits to suit all events and for functions portray an image of sophistication, elegance and glamour. This has made the quartet a favourite with pop stars, film stars, charity and fashion show organisers and has seen them working alongside and performing for such luminaries as Prince Phillip, Elizabeth Taylor, Michael Parkinson, Michael Winner, Madonna, Robbie Williams and boy band Boyzone. They have had prestigious residencies at Claridges, Harrods and Selfridges, and have performed on Top Of The Pops and played for Estee Lauder fashion shows. The Marten Quartet normally play for a total of two hours within a three hour period, with the exact playing times and programme to be discussed with the client. For example, a popular option for weddings is for the Quartet to play during the marriage service and whilst the guests are being “received”. The Marten players also perform as a trio, performing essentially the same repertoire but arranged for cello and two violins. This is a useful alternative where space, budget or the type of function make the smaller ensemble preferable to the full quartet. Our quoted price is for the quartet unless otherwise stated. The quartet is unable to play outside. The Marten are based in London. See Pricing for details of travel costs, etc. "They provided a charming background to the champagne reception." "The Marten String Quartet were fantastic and really added a touch of class to the reception. Thank you. The help and efficiency which I received from everyone I dealt with at Function Junction was perfect. Thank you"
"Although I was very busy on the day The Marten String Quartet played beautifully and moved between locations and the guests were very appreciative." "Fantastic performance. Exactly what we asked for. Made our day even more special. Thank you very much!!" "The Marten String Quartet were superb. They played beautifully during the service and the reception. Their performance was thoroughly enjoyed by all. We were impressed throughout by their professionalism and attentiveness and we thoroughly recommend them." "Thank you for arranging the quartet so quickly for us. Very professional. Guests enjoyed the music. Function Junction has already been recommended to friends and family." "Thanks so much for playing at our wedding. You played a delightful choice of music and it created a really special atmosphere." "Please pass on our thanks to the Marten String Quartet for their wonderful conribution to our wedding. Their playing during the ceremony and at the recepion was everything we could have wished for, and we were especially grateful for their impromptu playing while awaiting the bride’s arrival (delayed in traffic jams!)" Quartet In C K.465 "The Dissonance"